Fabio Quartararo was born on April 20 1999 in Nice. He has started running in France at age of 4. Then he moved to Spain, where he took part in the Promovelocidad Cup, winning in the 50th category in 2008, in the 70th in 2009 and in the 80th in 2011. In 2012 he won in the Pre Moto3 category of the Mediterranean Speed Championship. Fabio Quartararo is the youngest driver to win the Spanish Speed Championship, having won the 2013 edition at 14 years. It is also repeated in 2014 in the same competition. On March 26 2015, at the age of 15 years and 341 days, he debuts in the MotoGP, riding a Honda NSF250R team at Estrella Galicia 0,0 participating in the Grand Prix of Qatar; on March 28, during the qualifications he gets the sixth time and then completes the race in seventh position. In the Motorcycle Grand Prix of the Americas, he won his first podium in the MotoGP, arriving in second place. In Holland comes second, gets two pole positions in Spain and France. In this season he had to skip the Grand Prix of San Marino and Aragon due to the right ankle fracture remedy during the free practice of the San Marino GP. He closes the season tenth with 92 points. In 2016 he went to the Leopard Racing team, which entrusted him with a KTM RC 250 GP, with teammates Joan Mir and Andrea Locatelli. He closes the season at the 13th place. In 2017 he moved to Moto2, driving the Kalex of the Pons HP 40 team; team-mate Edgar Pons. 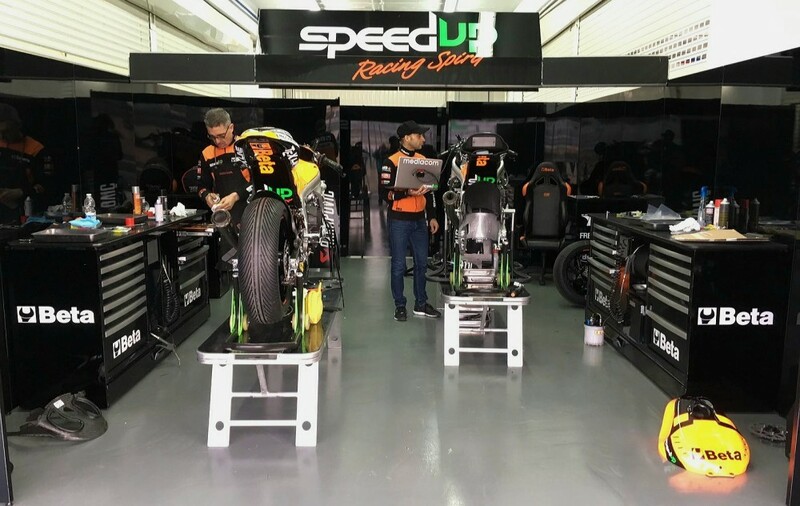 Fabio Quartararo has now started the new 2018 season with Speed Up Racing Team, getting on the Speed Up SF18H motorbike. Danny Kent was born on November 25th 1993 in Chippenham, England. He began his 125th class motorcycle race in 2010, running the home-made Grand Prix as wildcard on a Honda RS125R. In 2011 he moved to the Red Bull Ajo MotorSport team with an Aprilia RSA 125 with team-mate Jonas Folger. He scored as the best fourth-place finish in Spain and finished the season at 11th with 82 points. In 2012 he stays in the same team, running in the new Moto3 class driving a KTM M32; with team-mates Sandro Cortese and Arthur Sissis. He gets his first pole position and first win in the MotoGP in Japan, winning the latest seasonal test in Valencia and a third in Holland. He ends the season ends at the 4th place. In 2013 he moved to Moto2, hired by the Tech 3 team, teaming up with team-mate Louis Rossi. 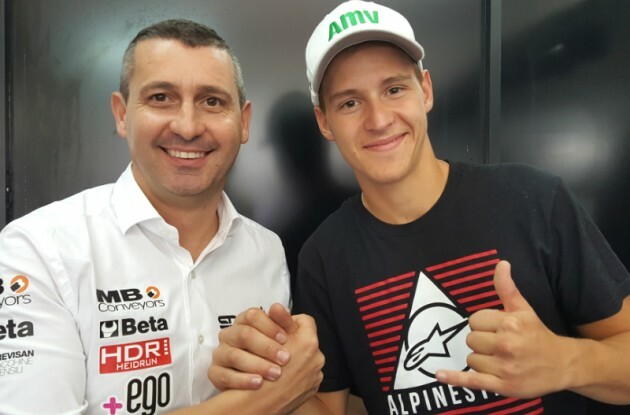 In 2014 he returned to Moto3, driving the Husqvarna FR 250 GP with team-mate Niklas Ajo. Gets two thirds in Czech Republic and Aragon, a pole position in Japan, ending the season at 8th place with 129 points. In 2015 he moved to the Leopard Racing team, driving a Honda NSF250R with team-mates Efrén Vázquez and Hiroki Ono. He gain six first places: America, Argentina, Spain, Catalunya, Germany and Great Britain, a second place in Italy, two thirds places in Qatar and Holland. On November 8 he became the world champion of the Moto3 class, reaching on the 9th place in the final Grand Prix in Valencia. In 2016 he stayed at the Leopard team and moved to Moto2 riding a Kalex, with teammate Miguel Oliveira. He scored as the best six-place in Qatar and finished the season 22nd with 35 points. He had to skip the Grand Prix of Germany because of a lesion to the ribs. In 2017, the season started with the Kiefer Racing team driving a Suter MMX2 with team-mate Dominique Aegerter, but before the Spanish Grand Prix he separates from the team for property divergences. 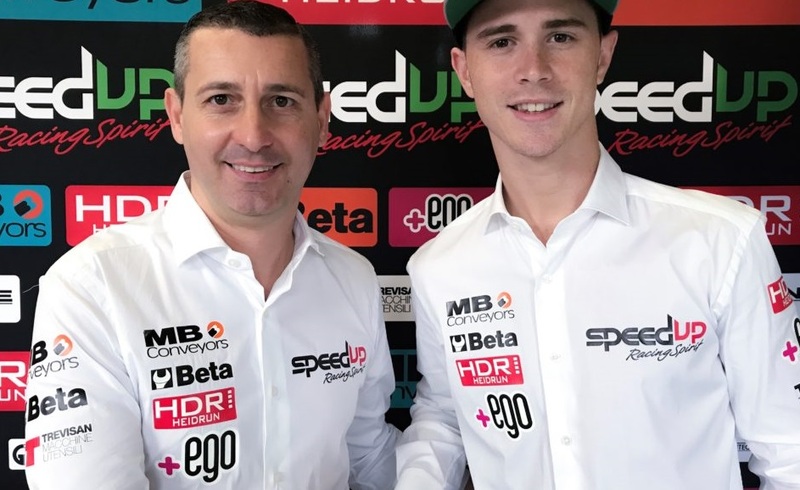 Danny Kent has now started the new 2018 season with Speed Up Racing Team, getting on the Speed Up SF18H motorbike.